Librarian offers you the possibility to create and manage a real library on your computer. 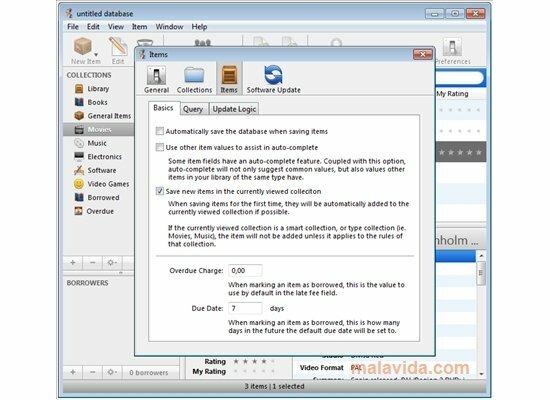 It is a practical cataloger from which you can manage and order your music and film collections or your small library of books and magazines. The cataloging system used by Librarian allows you to classify each element of a collection and store the information regarding a specific element to create complete catalogs that will be accessible from the applications itself or exported to a format that is valid for a web or to be viewed on an iPod. 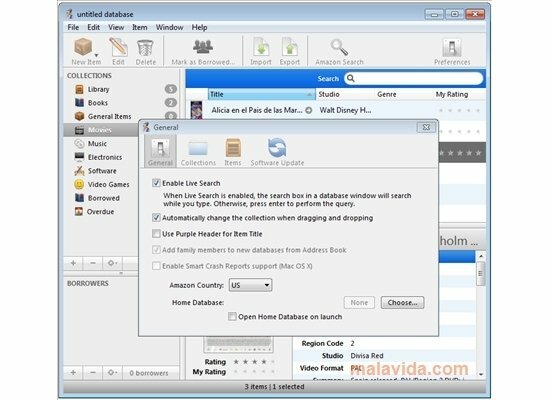 Other functions that are available in Librarian are the support to import from other cataloging applications like Delicious Library and DVDpedia, searches on Amazon depending on different criteria (author, title, ISBN, ASIN,...), the customization of the interface, the possibility to read barcodes (still under development), etc. Catalog your books, magazines, games, films, CDs, applications,... as they deserve and always have them handy, thanks to Librarian. This application works on Windows 2000/XP and above. The trial period lasts for 15 days.